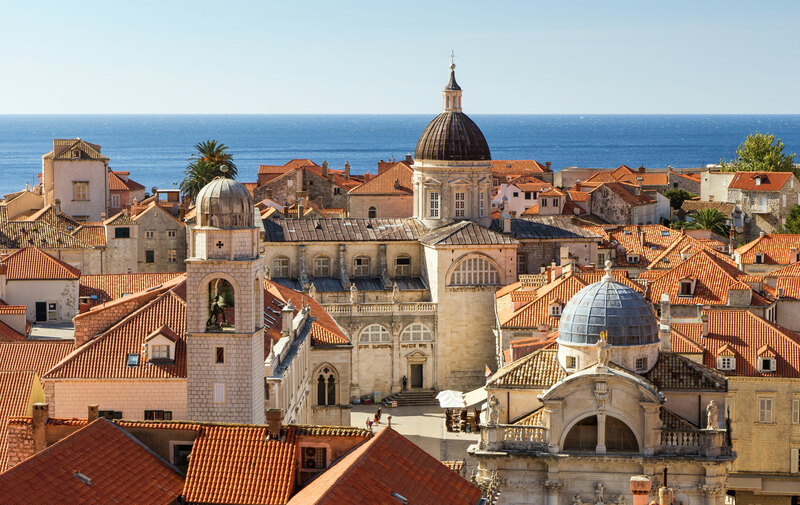 Following the eighth season premiere of Game of Thrones on Sunday, we recall a GoT-inspired jaunt around Dubrovnik, the city that stands in for the fictional King’s Landing on the show. You never know who’s going to die on the tour,” local guide Tom Matana quips prior to our stroll around Dubrovnik, Croatia — a UNESCO World Heritage Site dubbed The Pearl of the Adriatic. He adds, “Even the tour guide can die.” Well, that’s reassuring. It’s not unexpected, though, given we’d signed up for a Game of Thrones-inspired jaunt around the city that stands in for the fictional King’s Landing on the show. And with GoT, you never know who’s going to survive. Just ask Ned Stark. The seed for the tour was planted at Diocletian’s Palace in the Croatian coastal town of Split, which we visited while touring the Dalmatian Riviera with Insight Vacations. Built in AD 305 as the emperor’s retirement home — a far cry from playing shuffleboard in Florida — today its fortress-like facade and stone arches play Daenerys Targaryen’s throne room on the HBO series. And after walking in the footsteps of the Mother of Dragons, not even a horde of White Walkers could keep us away from Dubrovnik’s GoT sites. And we weren’t alone. Film tourism is an increasingly popular industry, with fans eager to visit the real-life landscapes that stand in for their favourite fantasy worlds – from New Zealand (The Lord of the Rings’ Middle Earth) to Tunisia (Star Wars’ Tatooine). Matana says that his usual Dubrovnik tour now only contains about 20 per cent of the city’s actual history, with the rest focusing on Game of Thrones. And the crowds are growing. Dubrovnik’s breathtaking Old Town has portrayed King’s Landing since season 2, where the ruling House Lannister holds court. The royal Red Keep is Fort Lovrijenac, offering a Lannister’s eye view of the city. From there I gazed upon the sun-touched rooftops running down the hillside to the medieval ramparts that straddle the azure Adriatic where kayakers cut through the waves. To the north stands Minčeta Tower; to the west, the tranquil Gradac Park; to the south, the picturesque island of Lokrum; within the town’s streets, vibrant with music and artisans, the Rector’s Palace – all magnificent locales where Croatian history meets GoT lore. Some prove instantly recognizable to fans while others, like King’s Landing’s luxury brothel – in reality a far less titillating ethnographic museum – will require a guide book for the uninitiated. And for those who visited in the hopes of spotting the actors, Matana says the stars proved very friendly with fans, and one business — the City Wall Hostel — even has a personal connection to the show. Reportedly, it’s where star Peter Dinklage awoke after a wild night out while filming season 2. CROATIA: If you’re already in Dubrovnik, take a ferry over to the nearby historic Lokrum Island, where Richard the Lionheart is said to have taken shelter during a storm in 1192. It’s also the filming locale for the great port city of Qarth. NORTHERN IRELAND: Northern Ireland features a number of notable Game of Thones locales, including Castle Ward, which stands in for Winterfell, the seat of House Stark, Tollymore Forest Park, subbing for the Haunted Forest, and the Shillanavogy Valley, which doubles for the Dothraki Grasslands, where Daenerys and Drogo got hitched. SPAIN: Spain also hosts many different GoT sights, including Itzurun beach near the town of Zumaia, a place fans may recognize as Westeros’ Dragonstone beach. As well, Almería’s Alcazaba fortress stands in for the House Martell’s Water gardens while the nearby mountains served as the Dothraki city Vaes Dothrak. 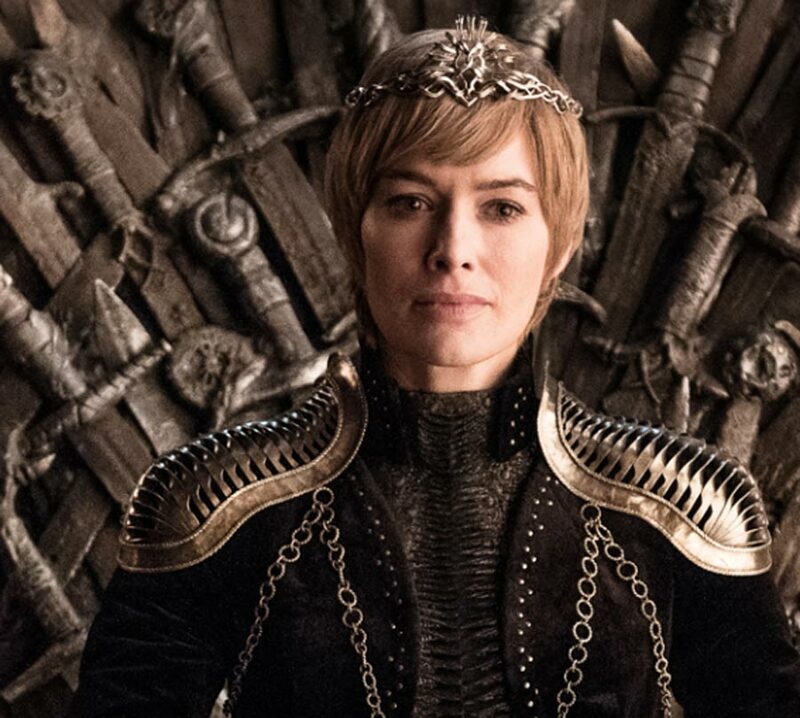 MOROCCO: Different areas of this kingdom stood in for GoT locales, including the historic fort Ait Benhaddou, which plays the Ghiscari city of Yunkai, and the port town of Essaouira, which stands in as the red city of Astapor, where Daenaerys procures her unsullied army. ICELAND: Iceland’s snowy landscape and glaciers serve as a great location to film — you guessed it — scenes that take place beyond the wall. Just keep an eye out for wildlings.